Peanuts and soybean/mungbean ranked fifth and sixth respectively in the prioritisation of value chains conducted at the commencement of the EI-ADO project. In consultation with the project Reference Group and based on similarity of production systems, the three crops were combined into a legumes value chain study. The soybean and peanut value chains were investigated in NTB and East Java, and mungbean in NTT. Districts were selected based on production, importance of the crop to rural households and the location of value chain actors. 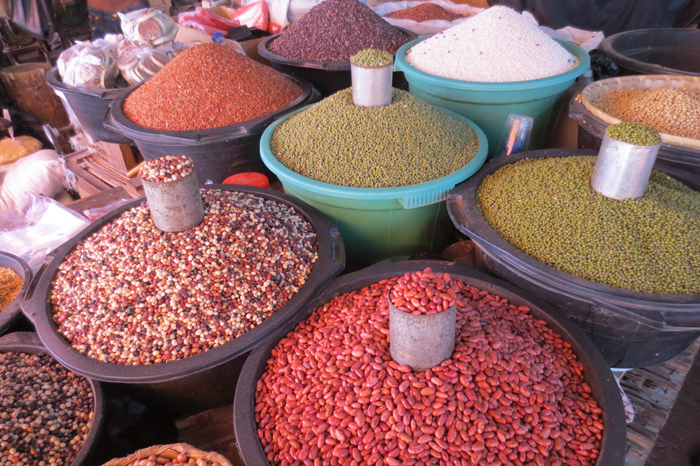 The study identified market-based interventions that address the key constraints facing producers and other market actors in the three individual legume value chains. Develop capacity of Lead Firms to conduct producer training and extension activities. Support the Seed Control and Certification Agency (BPSB), Lead Firms and distributors to introduce improved/certified varieties of seed to producers. 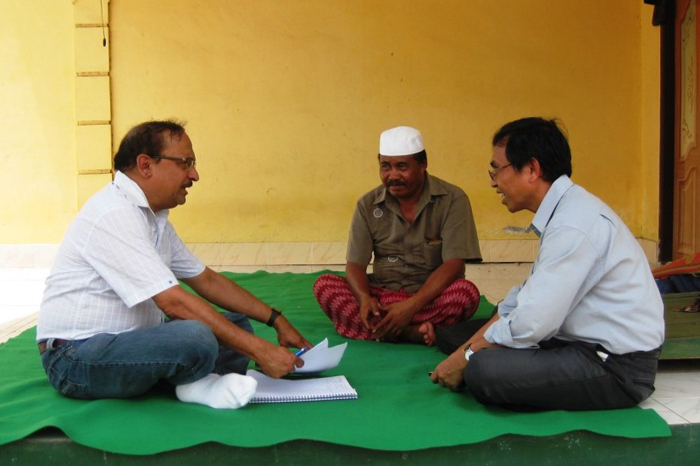 Build the capacity of Lead Firms to improve and expand their procurement from producers. Introduce new technologies to improve Lead Firm efficiencies (and their products / services provided to producers). Promote greater market access for Lead Firms (which in turn will purchase more from producers). Improve Lead Firm Quality Management Systems (allowing them to improve products and services to producers). Each legume commodity studied (soybean, peanut, and mungbean) is presented individually in the report, as each features its own technical issues, market actors, end market realities, and supply chain channels. 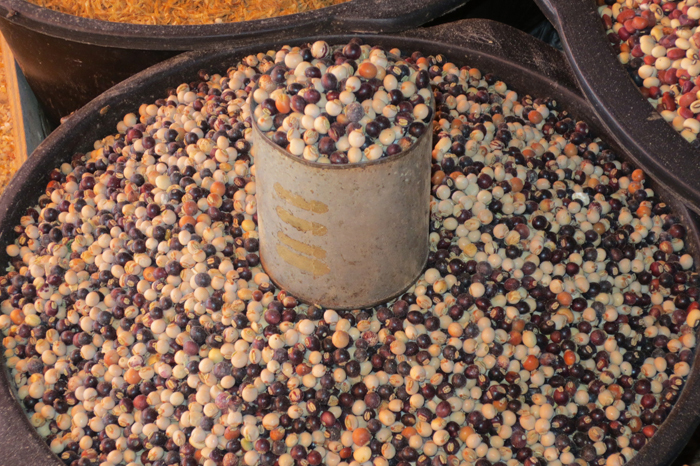 More extensive analysis is devoted to soybeans and peanuts, while concise information is provided for mungbean as it was only researched in one province. The report provides a descriptive analysis of markets and trends; socioeconomic importance, prices, policies and regulations at various levels; as well as any efforts to promote each legume by external organisations. Value chain constraints identified in each value chain, along with market-based solutions and market-based solution providers, are discussed. 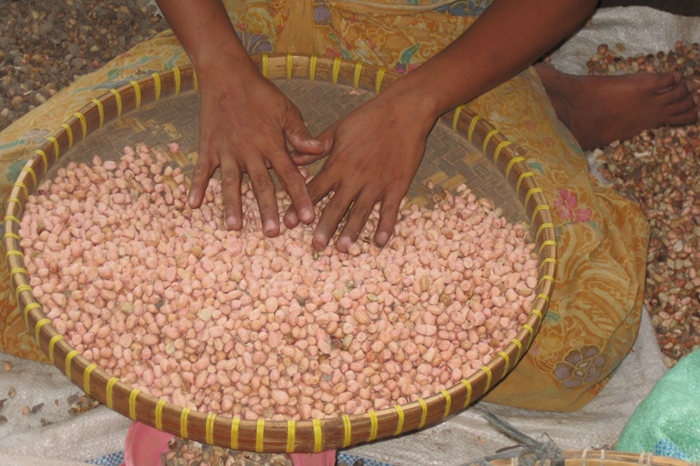 Opportunities for development that could positively affect poor populations in the targeted legume value chains are proposed and cross-cutting issues with respect to poverty, gender, and environment are discussed. Commencing with the interventions for the legume sector, the report then summarises gender and environment issues in legumes, in particular input supply environmental issues, and concludes with potential further research and development areas for each of the three legumes. The study findings, featuring recommended interventions supported by analysis, were presented, reviewed and validated at a stakeholder workshop and Reference Group consultation. Feedback was incorporated into the final report. 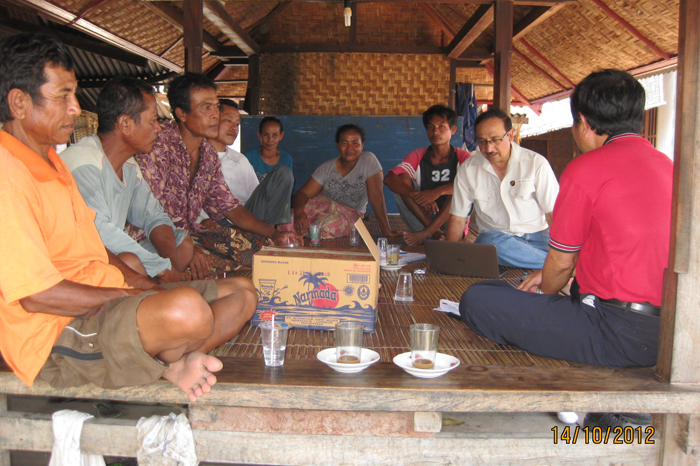 Interviewing peanut farmers, East Java. 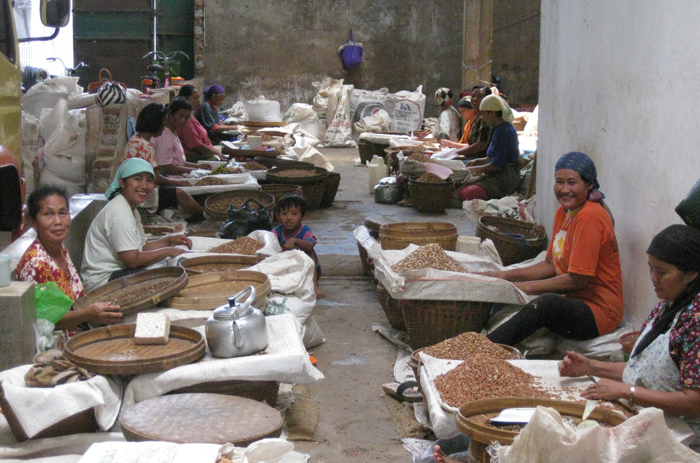 Sorting peanuts, Malang, East Java. 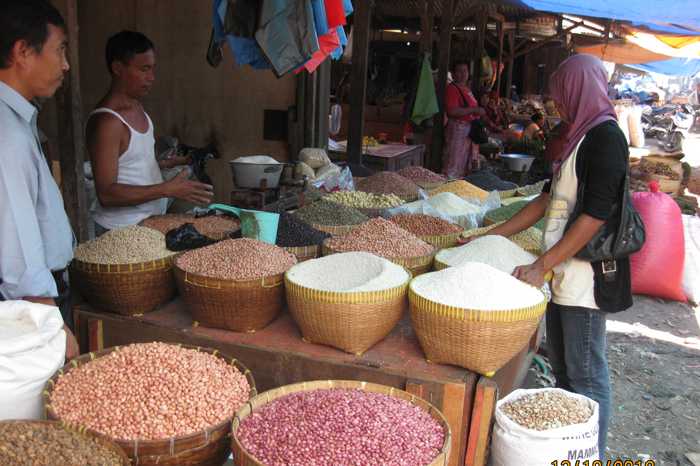 Soybeans, peanuts, mungbean and kidney bean, wet market NTT. Sorting and grading shelled peanuts, NTB.